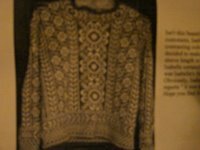 I don't know how well you can make out any detail on this photo, but this is the KidsKnits.com sweater that I've been dying to make for awhile now. It's in black/cream & I just love this sweater! 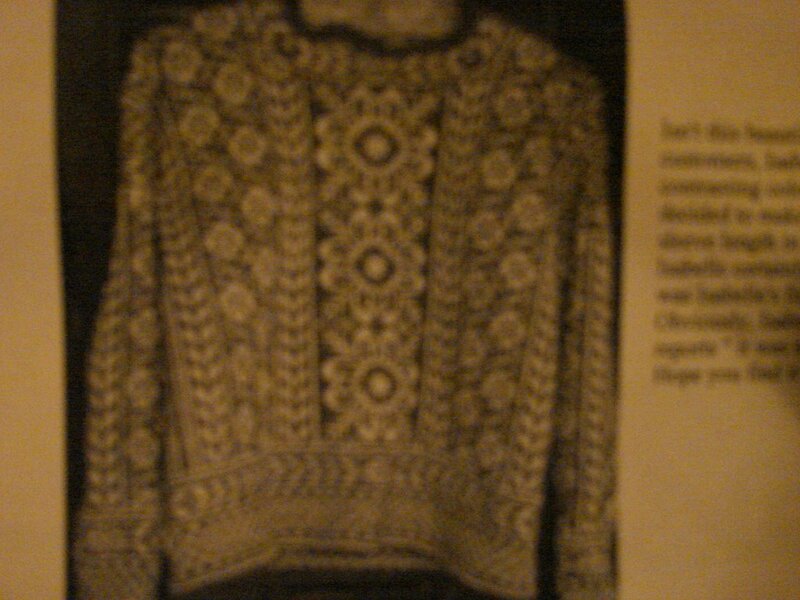 As I said in an earlier post, I don't know when I'm ever going to wear this thing if and when I ever get it done, as this type of knitting is so thick & hot for our Florida weather. But it's fun anyway!